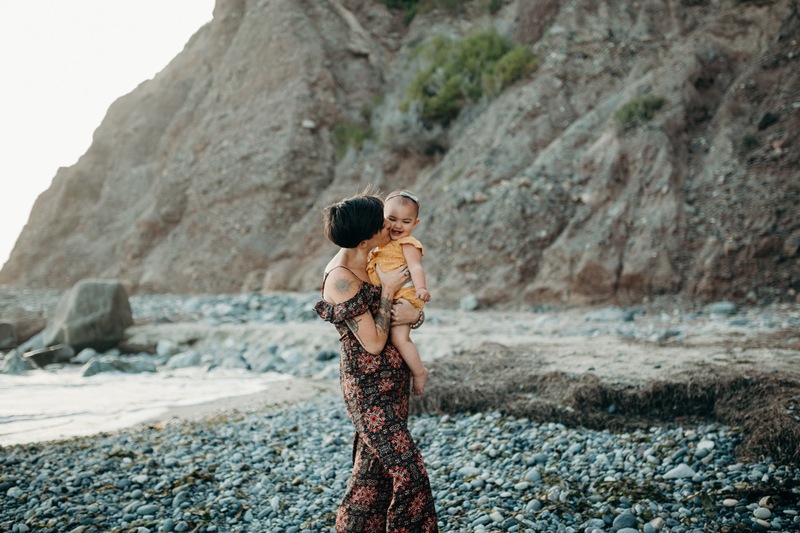 A year ago, I shot this adorable Mommy and Me session with a friend while on our trip in California. We basically spent the entire time watching and shooting Savannah and her precious daughter, Atlas, run around and snuggle. It was so sweet, fun, and made for some special photos just in time for Mother’s Day. But for whatever reason, I never got around to putting them up on my blog?! They totally missed getting published and I figured why not just do it a year later! I truly love these images so, so much and feel drawn to how Savannah + Atlas’s relationship shined through while shooting these photographs. I think a mother and her children are always a sweet subject to have in front of my camera. Mommy and Me sessions also encourage mothers (and, truly, anyone) to EXIST in photos. So much of the time, it’s easy to get caught up in the “I don’t like ___ about myself…” thoughts and forget that we are also living, even in the bodies we aren’t 100% proud to flounce. I believe that everyone deserves to be photographed and remembered. I find it so empowering when people push their cares aside and embrace the now. And, sure, you’re thinking…" “I won’t have a beautiful West Coast scene as my backdrop…” But do you know what you do have? People who love and cherish you and are so happy that you exist! I challenge you to take more selfies, to ask a stranger to snap a photo of you + your date at dinner, to embrace the now and show up in photos – even iPhone photos! Don’t let those hurtful thoughts hold you back from being awesome.